Barcelona full-back Jordi Alba questioned Pele's criticism of Lionel Messi as he labelled the Ballon d'Or a "lie". Messi, 31, surprisingly finished fifth in the Ballon d'Or, which was won by Real Madrid star Luka Modric, before the star forward was criticised by Pele. 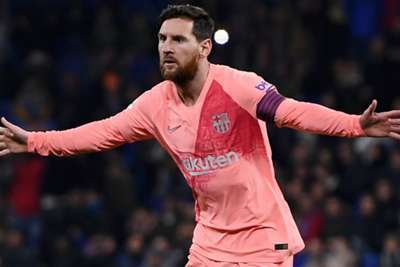 The Argentina international responded in style on Saturday, scoring two wonderful free-kicks and setting up another goal in Barca's 4-0 win over Espanyol in the derby. Alba has no doubt Messi is the world's best and he said Pele's criticism was unfounded. "The Ballon d'Or is a lie. There are many club and press campaigns," he told reporters. "Everyone knows that Messi is the best player in the world by far. "[Pele] may not see it very well, if he says that about Leo. He has everything." Barcelona great Carles Puyol also backed Messi, saying it was clear who the world's best player was. "Does anyone doubt who is the best? You do not need individual awards... #LeoMessi," he tweeted. After his brace against Espanyol, Messi has now scored 17 goals in as many games this season.